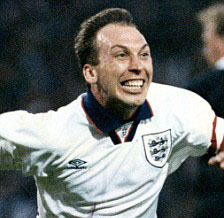 Ex-England football player and former Manchester City assistant manager, David Platt, has shown off his results after he became one of the first people in the UK to have had a hair transplant assisted by a robot. The football pundit joined an elite group who have benefited from the cutting edge technology at the Farjo Hair Institute. His procedure involved having over 2000 grafts of hair microscopically FUE harvested by intelligent robotic software, the ARTAS system, then transplanting them to the front of his scalp. The ARTAS system automatically finds the best donor hairs from the back of the head and can currently perform extractions at a rate of up to 1000 per hour. While this can be matched by some surgeons, the precision of manual extraction is very difficult to replicate over an extended period of time, as it can be with the robot, making it ideal for larger hair transplants. David has a footballing career spanning more than 30 years, starting as an apprentice at Manchester United and going on to play for major clubs both in the UK and abroad including Arsenal, Aston Villa, Juventus and Sampdoria. As well as this, he was the captain of England, making 62 appearances in all and appearing in the 1990 World Cup and the 1992 and 1996 European Championships. After his career on the pitch came to a close, David managed Nottingham Forest and the England U21 team, before becoming assistant manager at Manchester City alongside his good friend, Roberto Mancini, helping the club to win a Premier league Championship, FA Cup and Community Shield in their three years together. He left this role in the summer of 2013 and is now head coach at Indian club, FC Pune City.